Treatment of the asphalt pavements is the after- work maintenance plan every asphalt company recommends. Otherwise the surface of your pavement will be crumble and corrosive. With the help of experienced asphalt company and paving contractor, residents of Michigan can take care of their pavement. People must follow an appropriate plan of action for maintenance keeping in mind the damage type and treatment required. 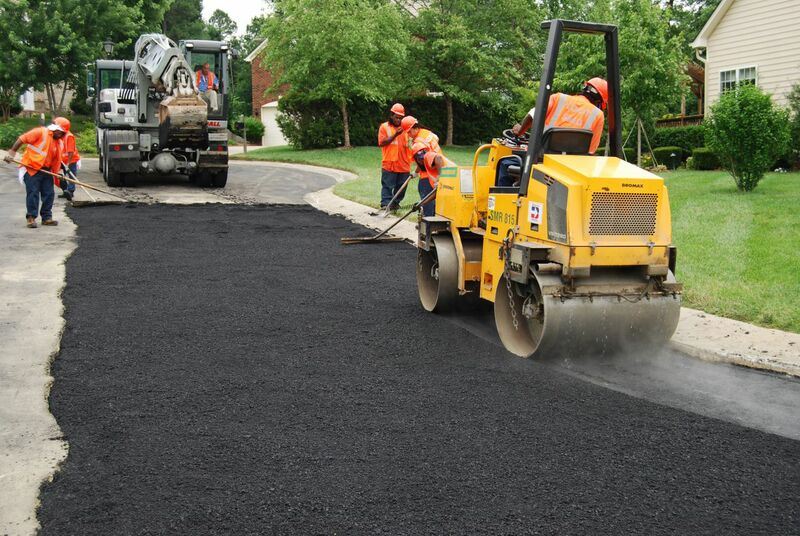 One must either call professional asphalt paving contractors or gather information about the damages, those can happen to the pavements with due course of time. There are some common failures like surface failure, structural defect, bonding agent failure of asphalt pavement. Surface failures can cause longitudinal and transverse cracks and decomposition of the asphalt. The decomposition is caused due to grading of wheels of heavy vehicle. Also these cracks can cause shrinkage among the layers of asphalt and base. Structural defects are the most sever. They can cause fatigues among the asphalt and break the total structure of the pavement by cracking the asphalt, and base. This happens when the base is no longer able to hold the pressure of cars. A professional asphalt expert knows very well that a heavy load track can cause more damage than few hundred small cars. As the time passes the bonding agent loses the adhesive power to hold on the asphalt and other chemicals together. This also weakens a pavement badly. Experts of asphalt companies know that every failure has a different solution. Depending on their observation they choose one from that. The various solutions for pavement maintenance vary from selective dig-outs and patching, surface coating, slurry seal coat to full length overlay. Depending on the damage an expert chooses form various surface and seal coats. Like micro-surfacing, fog seal, rubberized chip sealing, cape sealing etc. every solution has its different purpose. So make sure you are choosing the best solution for your pavement maintenance. A full overlay is done only when the pavement needs to be strengthening and the structure must be protected. Choosing a solution for asphalt failure, a proper plan of action is also required. Otherwise the solution itself can turn out to be a boomerang for you. You have to analyze the usage of your pavement, the condition of it and whether you need any patch work or digging. The pavement of a parking lot doesn’t need the same maintenance as of a highway or driveway.